The evolutionary ecology of carnivorous plants. Trophic interactions in population cycles of voles and lemmings: a model-based synthesis. Scale effects and extrapolation in ecological experiments. 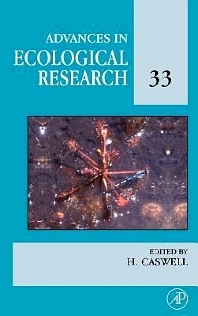 Advances in Ecological Research presents a wide range of papers on all aspects of ecology. Topics include the physiology, populations, and communities of plants and animals, as well as landscape and ecosystem ecology.